It’s the turn of the French mob today! After our massive three day tyre test last year, we’re offering you every tyre in a neat little download. 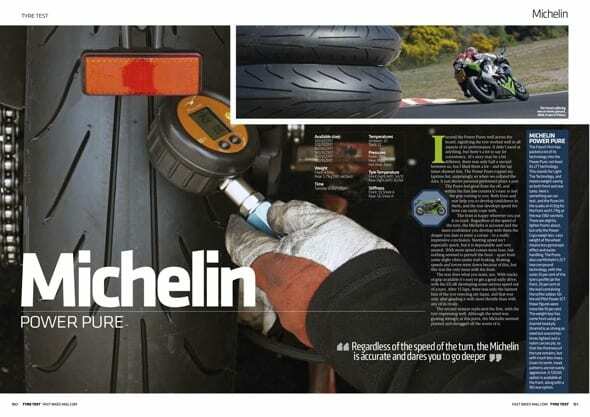 Here is our verdict on the Michelin Power Pure tyre. Check the website for more of our fine offerings! Click the image to see the Michelin’s details in PDF form, and save to read at your leisure! If you want this in one lump then head over to Apple Newsstandwhere you can download the lot for a not unreasonable £1.49! Tune in tomorrow when you can read all about the Pirelli Rosso Corsa.